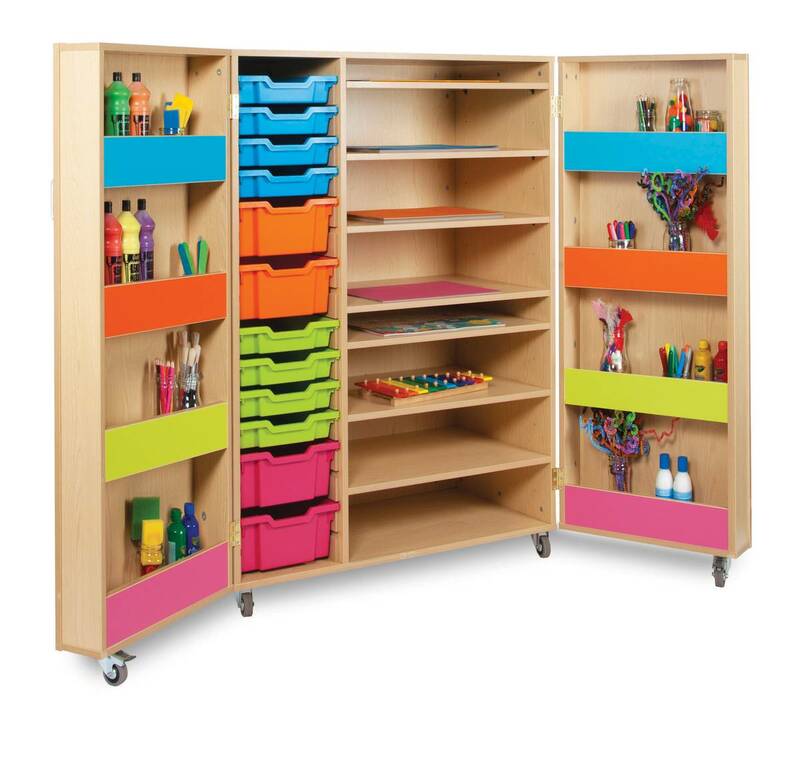 This art cupboard is ideal for storing various art supplies. Includes 8 shallow and 4 deep Gratnells trays. Delivered assembled, complete with castors and trays.